An hour and forty five minutes when parents/carers attend with their child. 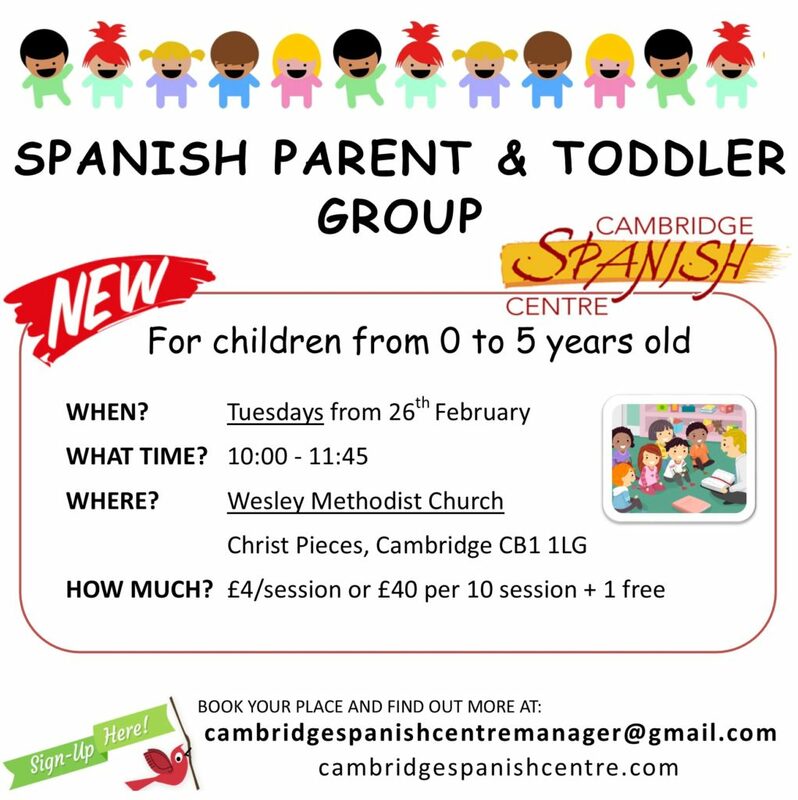 We’ll read a children’s story and have a sing-along in Spanish. There will be toys for the children to play with. A drink and biscuits for the children is included in the price. A hot drink will be available for parents/carers at £1 per drink. Parent and toddler groups are not a form of childcare so your child must be supervised by you.